When it comes to designing your gourmet kitchen, you must consider many aspects – cabinets, counters, floors and appliances – but you may not have thought about windows. And with one of the few states with a humid climate, real wood shutters in Tampa are a great and classy way to differentiate your home from the rest of the neighborhood. Kitchen windows are often placed above counters or sinks, making them hard to reach and prone to moisture. Choosing a window style that is easy to open and close, such as an awning, sliding or casement, is a smart move. Awning windows – which can be pulled in or pushed out – are perfect for ventilation, which can be especially helpful in a hot kitchen. 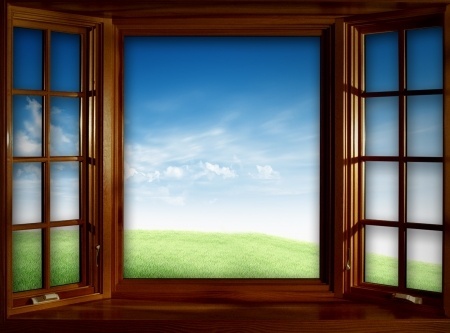 Since hot air from the oven or stove typically rises, awning style windows perform the best when placed close to the ceiling or above eye-level. Sliding or casement windows – which use a crank out method for opening and closing – are two good options for hard to reach areas, like above the counters or behind the kitchen sink. Motorized shades are also ideal for hard to reach window locations and can be controlled with the touch of a button. With window placement above counters or sinks, moisture and staining can occur, so choosing an easy-to-clean material like vinyl or fiberglass, is equally important. Fiberglass windows can withstand extreme heat and cold, are energy efficient and can have the same quality look of painted wood. Vinyl windows are easy to care for, don’t require painting or staining, and stay looking great for years. However, if wood makes more sense for you and the style of your home, then make sure to select a finish that will hold up against stains and moisture, and be prepared to do a little more cleaning and up-keep. Whether your new kitchen is traditional, modern or rustic, your new windows should complement the space. Window designs offer a variety of features including colors, hardware and grilles. Some designer windows even offer a between-the-glass solution that keeps blinds and shades located behind sinks from getting splashed. With so many options to choose from it’s easy to design a window that’s unique to you and the style of your kitchen.